Seven Springs is a privately owned camp and retreat facility on Vancouver Island located just outside Parksville, British Columbia. We are fortunate at Beyond Trad to have the use of this space for our campus. ​Please leave your pets at home. We have an amazing catering team for Beyond Trad camp. The food is delicious, wholesome and nutritious, served buffet style in the Lodge Hall. Please inform us of any medical dietary requirements and allergies when registering. This year we have both Bunk Houses and Woodstock style camping available on site. Self-contained RV units are welcome in the general camping, but please keep in mind that there are no power or sewer hook ups available and no generators allowed on site. Please note that this is a music workshop and folks will be playing tunes into the wee hours, in and around our accommodations. If you are a light sleeper and want to go to bed early, we will be designating an “early night” camping area somewhere on site. There are also lots of cozy BnB’s in the area, (but make sure you book in advance is it is the high season). If you decide to reserve a Bunk House for a group please let us know if and who you intend to share it with at the time you register. These buildings fit 4 comfortably, if you wish to squeeze in more than 4 please let us know so that we can sort out the details. 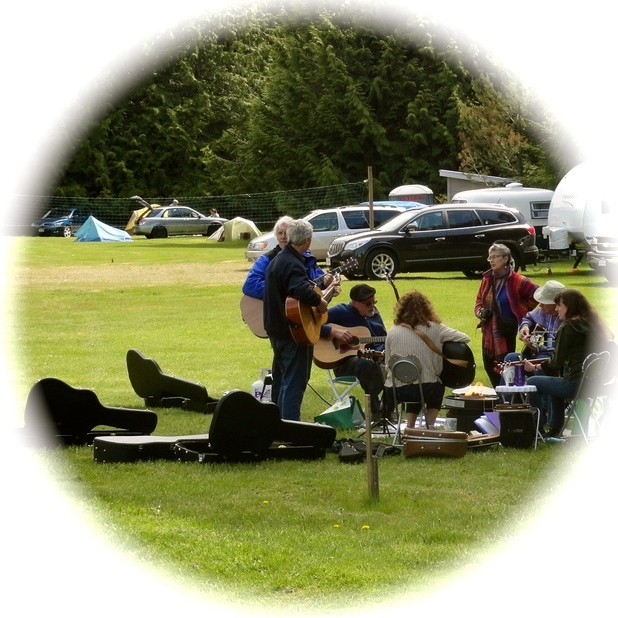 ​Woodstock style campsites for tents and self contained RV units (there are no RV hook up facilities on site) ​There is a communal wash house with hot showers onsite, as well as a covered jam space. There are many lovely places to pitch your tent at seven springs. If you like morning shade, morning sun, full shade, grassy field or deep forest, you can find a spot to make your home for the week. If you don’t own an RV but would like to use one for the week there is a local RV rental company that we have rented from with good success. If you wish to reserve a rental RV, they will deliver and set it up on site for you. As this is in the prime camping season we suggest that you contact them ASAP for availability. ​ If you have any questions about this option, please contact the organizers. Please note that generators not permitted on site. 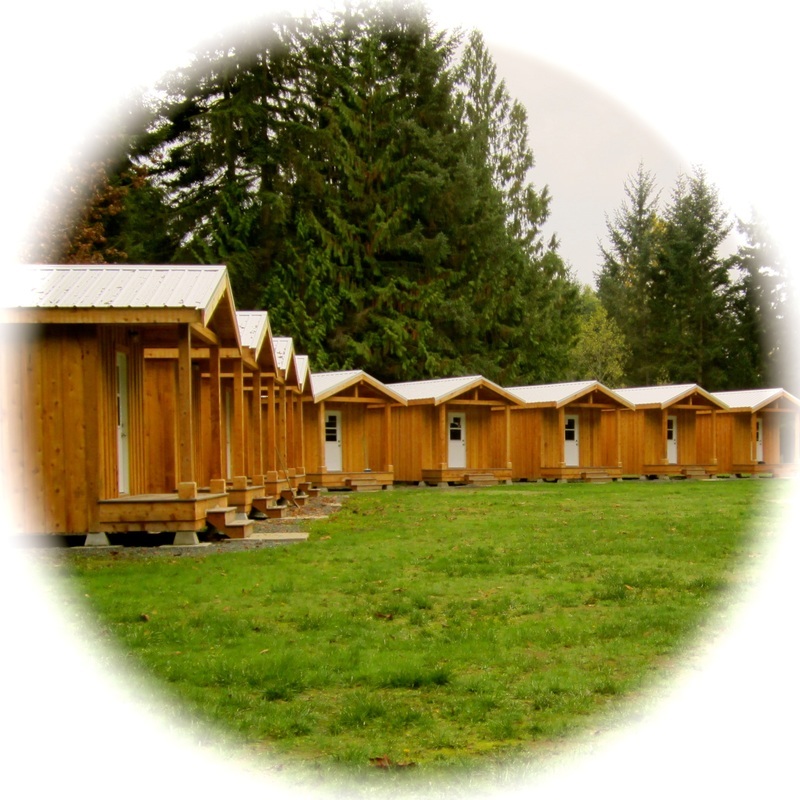 Seven springs has recently built 12 cosy little cedar bunkhouses. Each has built in bunk beds with good foam mattresses. We recommend they sleep a max of 4 per cabin so you have enough room to stow gear and instruments. The bunk houses all have a covered front porch, screened windows, electric lights and heat. The washhouse is close by with hot showers and flush toilets. 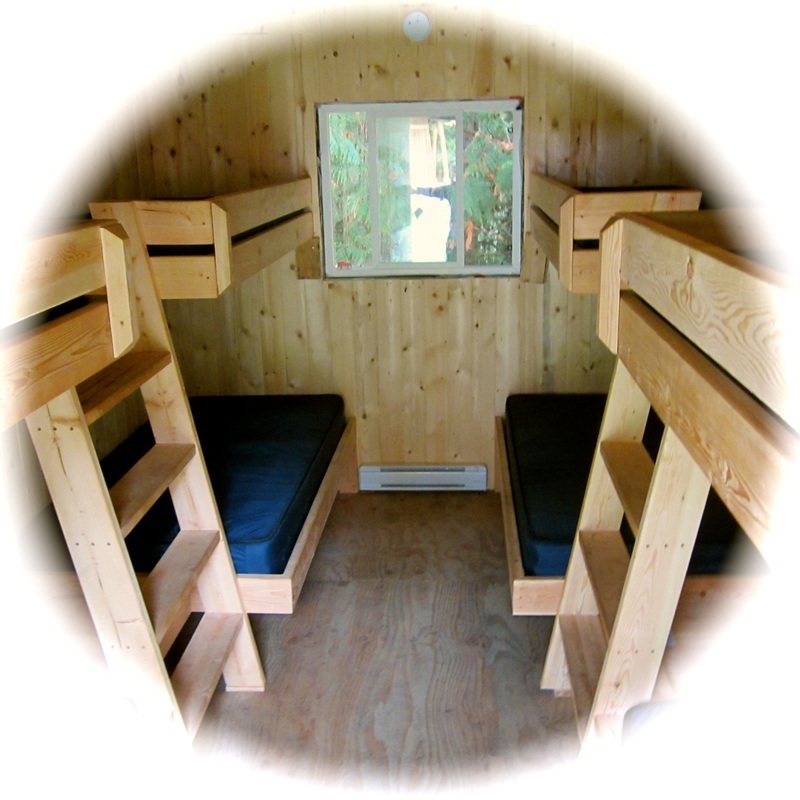 Bunk houses can be reserved by groups, or by the bunk. No bedding or linens are provided. There are covered mattresses on all beds in the Bunk Houses. Bring a sleeping bag, or your favourite glamping bedding options.